In Europe, Switzerland is located at a natural geographic crossroads where many archaeological area from prehistoric times have been discovered (Lake Neuchâtel, Lake Geneva, etc.). Approximately sixty bows or fragments of bows have been found. The value of these sites makes archeology Switzerland an important reference in the field. 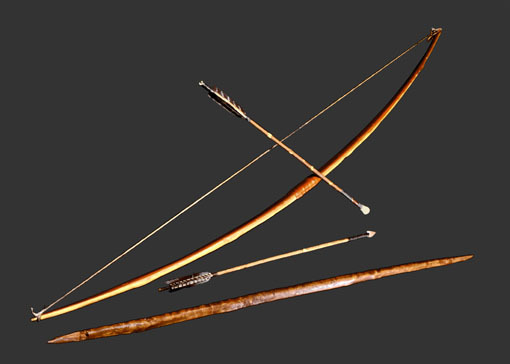 Valuable discoveries about the ancient use of the bow were made in other European countries: Scandinavia, Germany, Great Britain, France, Italy, Siberia. By his knowledge of the replicas bows of 13 if the 20 th th centuries in abbeys, Blaise Fontannaz also affects the foundation of this art from prehistory. He even became a pioneer in experimenting and consultant in archeology and ethnology. It restores most of the bows or fragments with the help of dendrochronology Laténium the Museum of Neuchâtel. 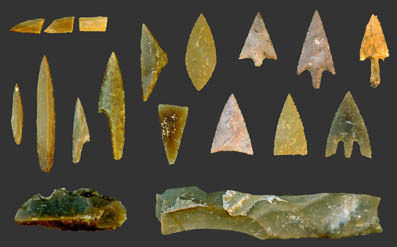 Each replica of prehistoric weapon is based precisely on the materials used at the time.Archaeological studies in the workshop show the gradual evolution of manufacturing techniques, materials used and the different shapes and proportions. 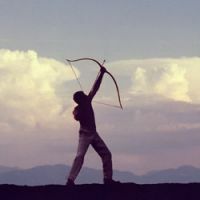 They specify showing the use made of these bows in connection with the remarkable adaptation of man to his environment. The study and manufacture of arrows, quiver, strings and accessories are conducted similarly. Several of his lines made in his workshops are exhibited in museums or archaeological ethno, Neuchatel, Lausanne, Fribourg, Paris, Nemours , Museum of national archeology of St-Germain-en-Laye (France), the Museum of archery Crépy Valois but also in Egypt, Syria, Jordan, Turkey, etc.